A natural looking, moisturising and quick drying bronzing mousse that is easy to use and develops into a rich, deep tan. A streak-free formula containing anti-ageing Q10, Blackcurrant, Vitamin E and Pomegranate extracts. This will leave your skin feeling moisturised and looking gorgeous. 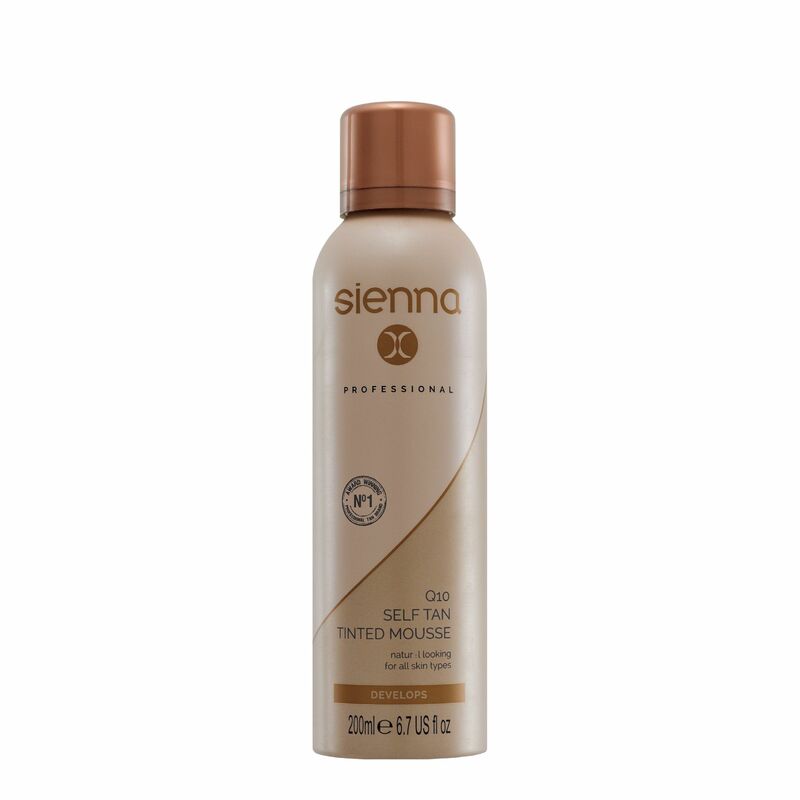 Apply using the Sienna X Self Tan Mitt and rub evenly into the skin, wait 8 hours and then rinse off. Winner of the 'Best New Artificial Tanning Product' at the Pure Beauty Awards 2014 & Winner of the 'Ultimate Fake Tan' in Reveal Magazine's Summer Beauty Awards 2014!